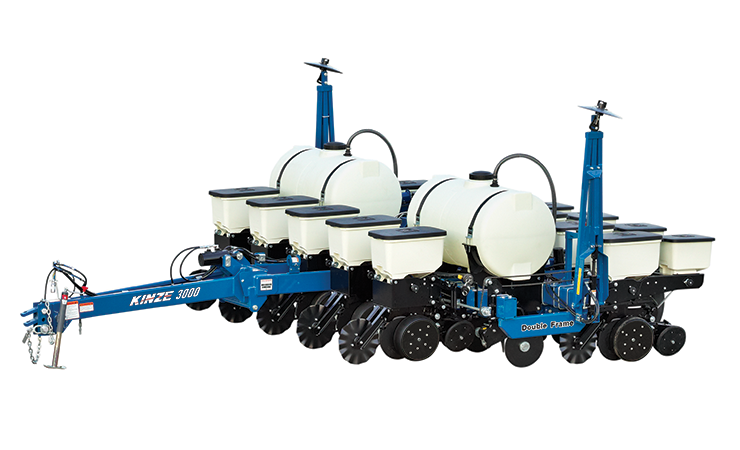 One Planter with Many Possibilities. 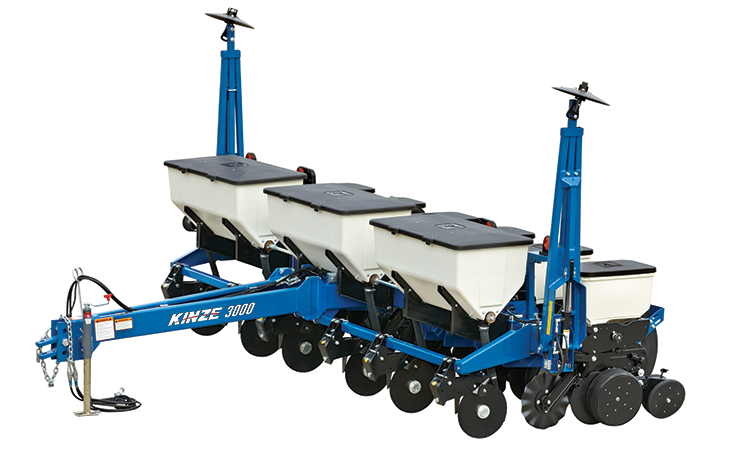 A model of the versatility in all Kinze planters, the 3000 planter is an adaptable, small-frame hitch pin planter ideal for smaller farms. 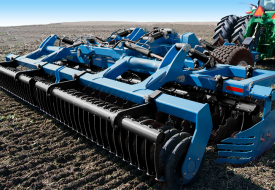 Its bolt-together design can easily switch from single to double frame, and can convert from 30'' to 15'' row spacing in minutes. 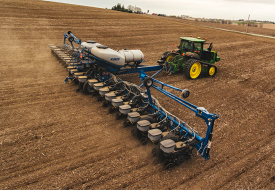 Lower inputs and equipment costs allow you to customize and configure the 3000 planter for the way you farm. 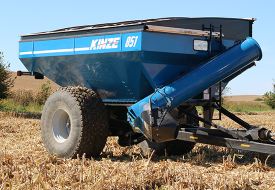 Available with liquid fertilizer, dry fertilizer, and push split rows. 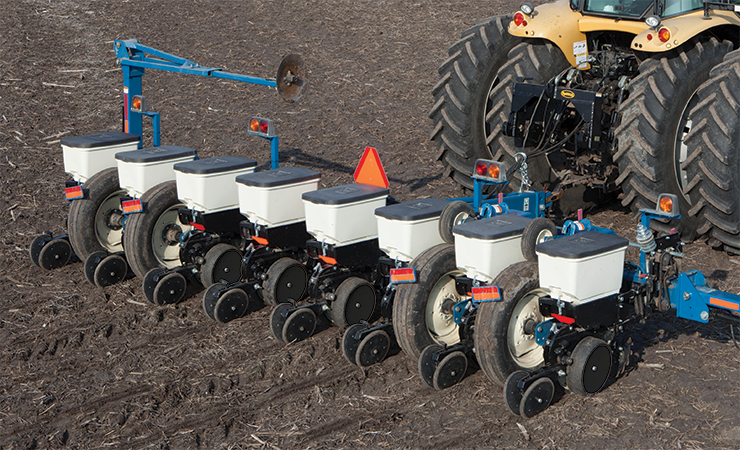 With the optional double frame installed, fertilizer and split rows can all be on one planter. 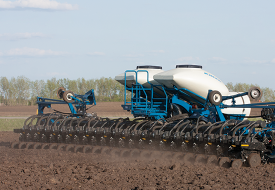 The 3000 planter can be customized for your operation. 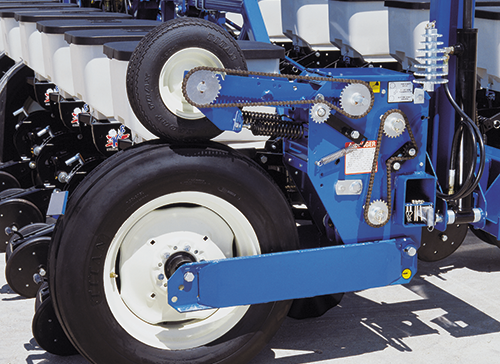 Smooth, reliable, and easy to operate, the ground contact drive uses spring-loaded tires and requires no clutches, and there are no chains to remove for transport. 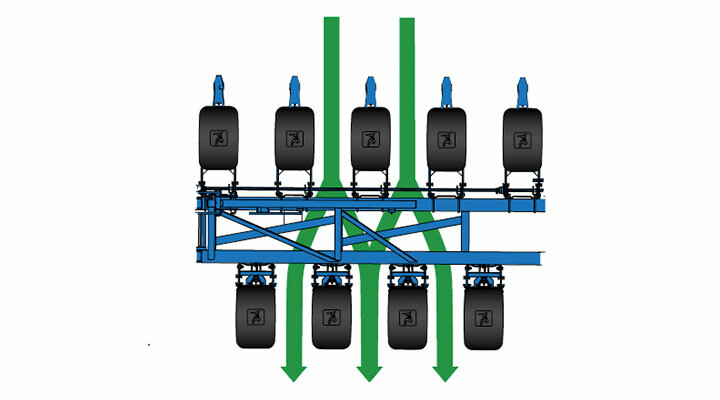 Easy accessible transmissions allow planting rates to be easily changed. 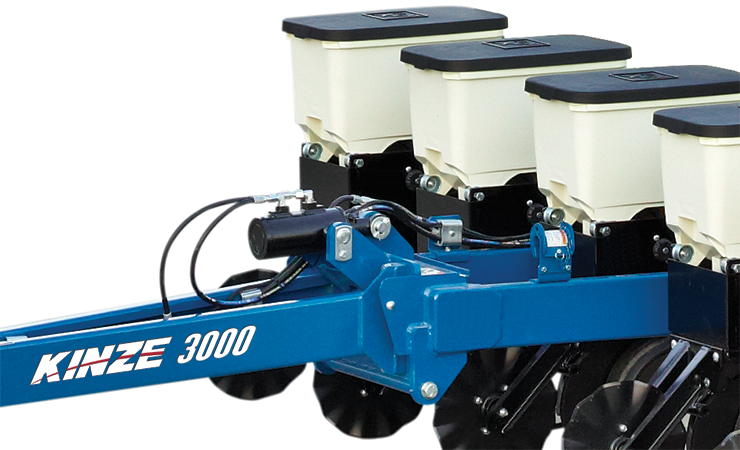 Fertilizer practices are dependent on your farming practices, and the 3000 planter provides plenty of options. 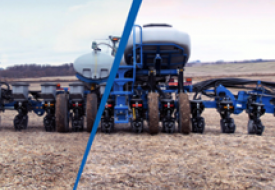 Choose between liquid fertilizer and dry fertilizer to closely manage this critical input cost and increase profitability. Double frame option required.